I have just read a news item from Ghana Web that is at once provoking and fascinating – and I dare say stunning. The Presiding Judge presently hearing the Election Petition in Ghana Mr. Justice William Anaam Atuguba has unequivocally wallowed into the political arena. His motivation may be positive – even honorable – but the direct implication – and the full measure of his political intrusion, far away from the confining walls of temperate judicial necessity, imperils our nation. As dangerous and as contemptuous of the political and constitutional structures in place to hold our country together, this man’s words most decidedly, undermines the constitutional integrity of our country and subverts the independence of the judiciary in several ways. First, my initial inquiry is this: Is this the position of the Supreme Court? Are they charged with dealing with the decidedly, “political” issues of our country? 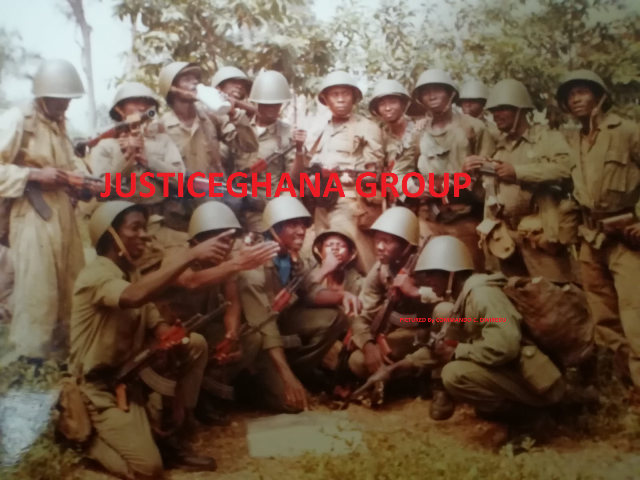 Or, are they charged with the sole purpose of dealing with “the judicial power of Ghana.” (See Article 125 of the 1992 Constitution, and sections thereunder) What is he (or they) precisely and specifically going to do to “care on their behalf” referring to the “ordinary people” of Ghana. By the way, do we exclude all those Ghanaians who may be “non-ordinary” – and who, amongst us, are these specifically excluded from the arrogant “caring” embrace of the Hon. Justice William Anaam Atuguba? Elsewhere, in the article, the Supreme Court Justice is quoted as saying that “politicians appear to have taken on an ‘over mighty’ position. You cannot make this up! He does not even see the crystal clear irony of his self-righteous “over mighty” declarations to “care for” ordinary people. Who gave him that awesome mandate? By what means is he going to execute this well intentioned propensity to help the “ordinary people?” When politicians take on “over mighty” positions, it is absolutely none of the business of the judiciary to step into the political arena. This is immeasurably dangerous! If politicians take on “over mighty” positions the people – yes, only the people, in their collective wisdom, through a fair an open elections, determine the direction of such “over mighty” politicians. The judiciary – and Mr. Atuguba specifically, is very ill-equipped and very dangerously so, to openly arrogate to himself the unconstitutional cloak to attack the “over mighty” politicians he speaks of. Who are these politicians anyway? Let it be known that the only way justices contribute to the development of our country as a whole is when, guided by the fierce imperative of fairness in open debates, and an unflinching allegiance to the oath of fidelity to the Constitution, resolve ALL issues fairly and with due and just regard to provable facts! Anything else is a patent fraud on our system. One more thing, it is wholly dangerous and supremely ill-advised, when Justices charged with hearing a case – however complex – begin to clothe themselves in cloaks of war talk. Why? This is contempt of the worst and most dangerous type. IT would be very appropriate for the Chief Justice and the Judicial Council to seriously warn this Justice to refrain from political talk. Good intentions, by themselves, have been known to cause grave havoc in the lives of countries. Give to Caesar the things that belong to Caesar – and for the judiciary all cases that must be resolved. There is imminent danger in commingling the sacred duties of the judicial enterprise, with the rough and tumble – and sometimes wise leadership of experienced and well-endowed politicians. The safety of our country depends on it. Source: By Dennis Adjei-Brenyah Esq.